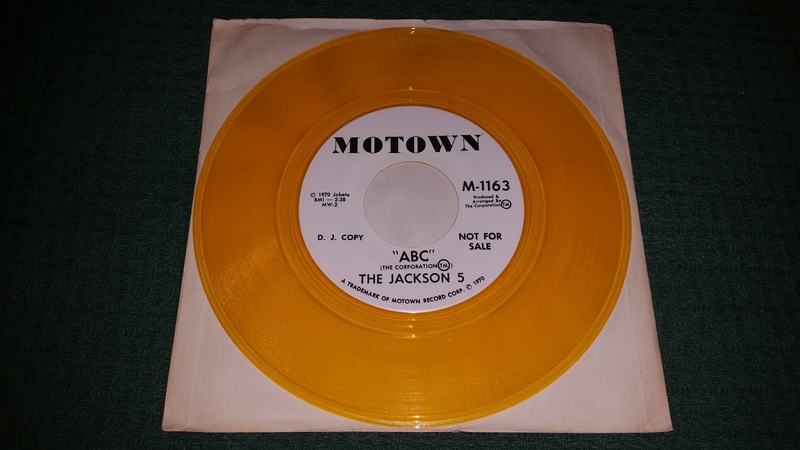 The new year has begun, and we will go back to the origins:the Showroom is proud to add to the collection a masterpiece; Here it is the yellow promo vinyl release of "ABC", released in 1970 on Motown label. 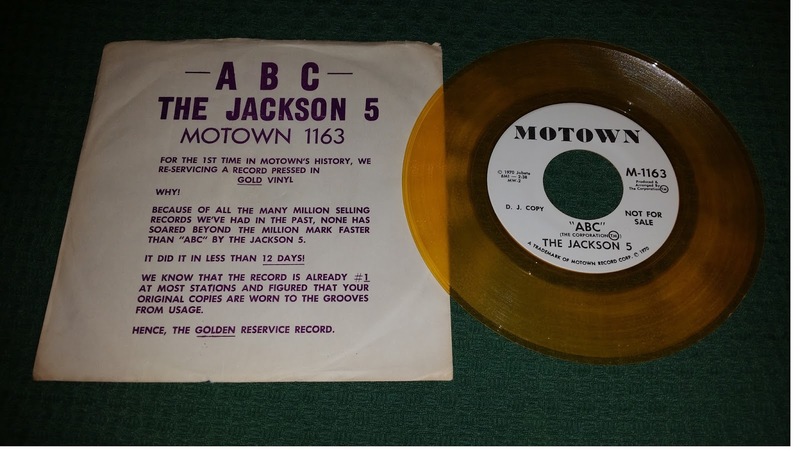 The record comes complete with a particular sleeve, with a special message from Motown records:"For the first time in Motown history, we re-servicing a record pressed in gold vinyl; why! because of all the many million-selling records we've had in the past, none has soared beyond the million mark faster than "ABC" by the Jackson 5. It did it in less than 15 days!". That's the reason why Motown re-distributed the record to medias in this particular coloured version. 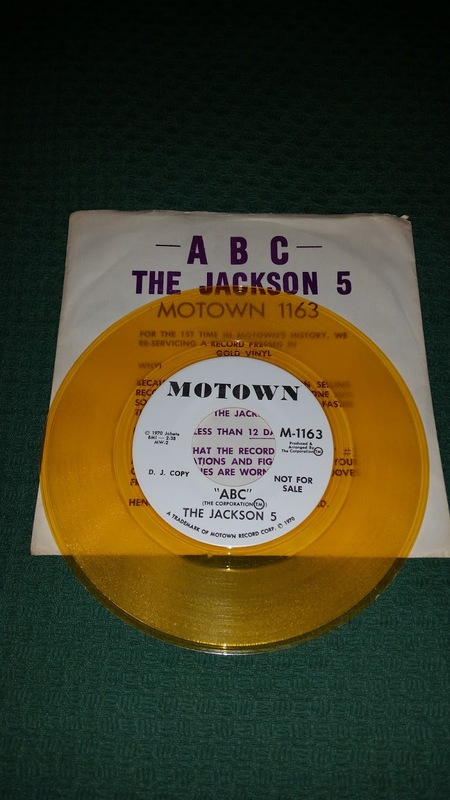 Someone stated that no more of 150 copies of this have been released, but I think Motown released more than that. Maybe 500, or 1000; I don't know. Anyway, is hard-to.find complete with that sleeve, and this is another dream that came true for me and my Showroom! THE MICHAEL JACKSON SHOWROOM WISH AN HAPPY NEW 2018 TO Y'ALL, KING OF POP COLLECTORS!!! !